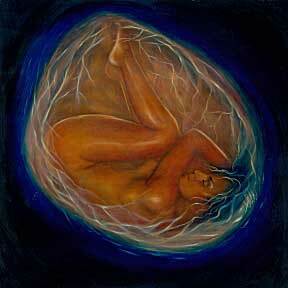 The concept of rebirth is a motif that repeats itself frequently in many parts of human creativity. In the hero’s journey in mythology, a common metaphor or literal event in religion, and it permeates even the mundane, if not in smaller ways. The “born again” concept is not unique to evangelical Protestantism, but perhaps that term is best associated with such groups. The concept of coming back, especially through a transformation, is central to Christianity. What is the resurrection but a kind og returning or rebirth? What is being “born in Christ”? Now, don’t worry too much, because I have not become a born-again Christian. This is not a post about my rebirth as a new Christian or anything like that. But in a sense it is a sort of small rebirth for me. It has been some time since I have updated this blog. It is a sort of return to writing, hopefully reborn as someone different in some small ways. Perhaps not, but in any case it is a rebirth of the blog itself, having been away for a little while. Recent events in my life, details of which are not necessary to explicate here, have put writing aside for me. It was not that I did not have the time, it was that I did not have the will. The muse of my creativity had vanished, and I needed to give the one that lay on life-support inside me time to heal. In hurting deeply and profoundly, I found it difficult to compose much of anything. But I believe that the time has come to attempt to regain my ability to compose and share my thoughts with the world. There have been times in my life when I felt like, in experiencing something powerful or intense, I needed to redefine myself. Perhaps some loss has been felt, perhaps I have wronged someone, or perhaps I have found myself feeling the need for change. I’m sure that everyone has felt something like this at some point in their life, and have found a change coming as a result. Often, these moments are associated with some spiritual or religious feeling. For many people, this many be their god reaching out to them, perhaps a change in their soul, or some other spiritual or religious feeling. I am not unfamiliar with such feelings, myself. It is as if a part of us switches on in such moments, seeking for meaning, structure, and purpose. Religion seems to have evolved to answer such needs, which is why it compels us so easily; it is designed in part by people in such situations, thus it answers the call of these moments. The association with the beliefs held, in order to give these feelings structure, is understandable. Our brains are pattern-recognition devices, after all. When we have complex experiences we will seek to explain them in some way, categorize them into our worldview. And that worldview was itself created by the same kinds of minds that feel these moments of need. But for somebody like myself, such experiences do not point to something spiritual or godly. When I feel the need for change, transformation, or longing it does not draw me closer to a god or to some larger power around me. What it does is clue me into the fact that my brain is doing something abnormal (if it were normal, I would not be trying to figure out what the experience is because I’d have grown used to it and found the experience less interesting). And a complex thing like a brain is bound to do abnormal things, especially when it receives abnormal stimuli. Those moments of ennui, existential crisis, etc that strike us at times in our lives are, thus, not very surprising when you think about it. I, for example, have been experiencing much stronger emotional states recently, and I understand it is because I have experienced a change in my life that effects me day-to-day. For some, this would be a wake-up call to attend to the divine or to some spiritual realm in some ritualistic way. For me it is a time to re-evaluate and take stock on what is new, what is the same, and what is to be done about any of it. And in a sense, am I not doing the same thing as those that resort to ritual, prayer, or divine wisdom? Is there not some psychological similarity between one who prays, meditates, or merely thinks? Surely, they are not exactly the same, but there seem to be similarities beyond the superficial. What is the difference between one who transforms themselves “in Christ,” one who finds some small enlightenment in meditation, and one who, in re-evaluating their life, comes out feeling different, new, and having gained new perspective? I’m sure that many differences and similarities could be discovered if we were to study such a question, but I would bet that those three individuals would be able to share many experiences and perspectives among one another after such a transformation. After such a rebirth. One of my goals in my life has been to continue the conversations between such people. It is one of the reasons I think the conversation is important. It is why I find religion and philosophy so interesting, and it is why I write such a blog. I’m glad I finally remembered that. You know, sometimes the only way to learn a lesson about yourself is to see what evil you are capable of. Sometimes, for the unfortunate few, you can only truly grow and improve yourself upon reaching lows in life. I think that this is because when we are low we are finally willing to face the tough questions, challenge ourselves in deeper ways, and the ascension gives us newer perspectives. The shame is that so many people that discover this give “god” the credit. I think that this diminishes the lesson.